My grandmother would’ve turned 103 today. 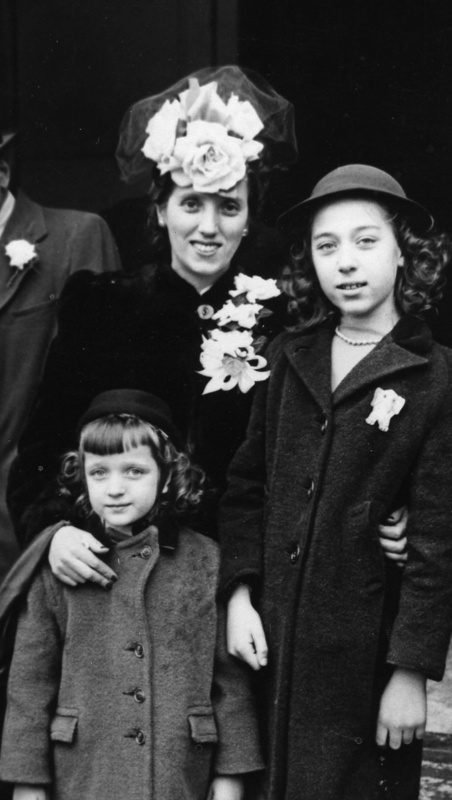 Here she is, presumably in the mid-1940s, with two of my aunts. I don’t know the occasion, but if that’s a yellow ribbon on my oldest aunt’s coat then I guess it might be related to the war. 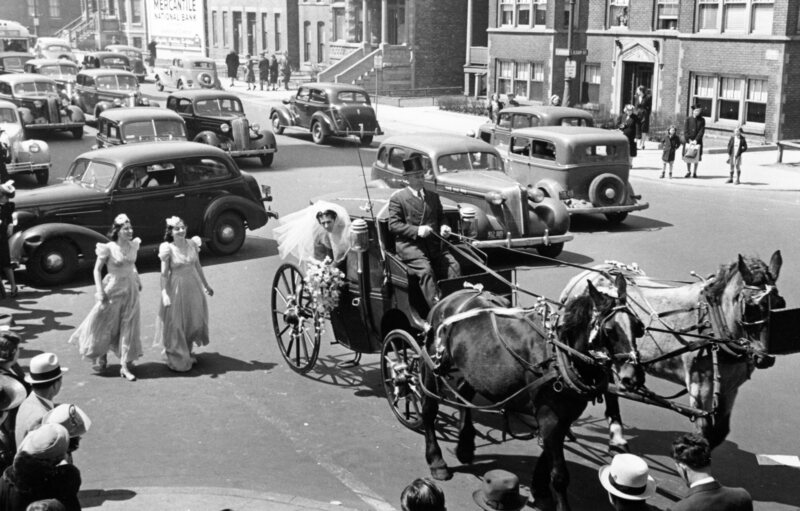 That’s my late great-aunt Nancy leaning out of the carriage on her wedding day in 1940. The groom, Julius, was killed in France a few years later and she never remarried. I imagine they made the most of their short time together. I can make out one of the street signs (South Albany). I’d love to be able to rattle off the makes and models of the cars, but I’m not a car guy. Sadly, I can’t imagine a normal family like the Fortes having a procession like this down the streets of Chicago today. Or who knows? Maybe it still happens. I’m wondering if it’s Aunt Jo’s wedding that we were attending. The “yellow ribbon” on Maria’s coat is actually an elephant pin. And Gram is wearing a rabbit coat. It was oh-so-soft! @YELA: Dad says the same. Happy mother’s day! Yes, it was a light blue plastic elephant pin. I kept it for a long time. Also had a blue donkey pin. I didn’t wear that one very much. Don’t know why I would have worn an elephant pin to a wedding! However, at 12 or so years old, I wasn’t into high fashion!